This cosy apartment is located in the loft on the 2nd floor. A nice kitchenette in the living area, which opens onto the sleeping area with double bed, awaits you. This holiday home is located on the 2nd floor. Once you ascend to the third floor, you are rewarded with the scenic views of the sea. You can reach the bedroom in the loft, underneath a pitched roof. You will enter this stylish, thatched holiday house through an open kitchen, which emerges into a spacious, cosy living room with a fireplace. From the terrace you get a view of Hafenspitze. This cosy apartment is located on the top floor. There is a kitchenette in the living area but without water supply. The living room opens onto the sleeping area with two single beds. Enjoy your holiday on the island of Poel, built in 2016 in this house. The beautiful conservatory is bright and friendly, here you can sit together with the whole family. This cosy apartment is located in the loft and is carpeted. It has a small kitchen island in the living area, which opens onto the sleeping area with a double bed. This holiday home is located on the ground floor and has a terrace. The bedroom has a double bed and a wardrobe while the bathroom has a toilet and bath tub with a shower enclosure. 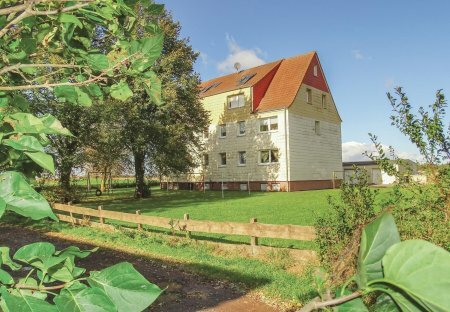 This appealing apartment is located on the ground floor. The Timmendorf Beach offers everything you expect from a Baltic Sea resort - great sandy beach, a marina, fishing trips, bicycle rentals. Here you will find a totally refurbished bungalow which is comfortably and tastefully furnished. The 'Southernmost Island of Scandinavia' in Gollwitz. One of the most beautiful places in the Baltic Sea located near Wismar is the 'Southern Island of Scandinavia' - the Poel Island which is connected by a causeway to the mainland. 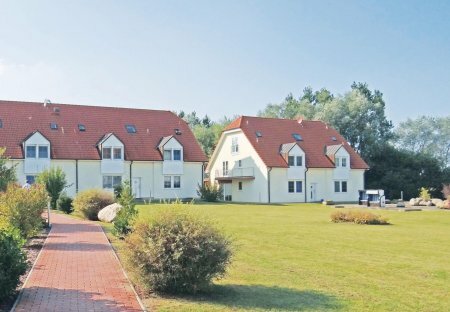 Enjoy a great stay in this holiday apartment in one of the most beautiful places on the Baltic Sea. This apartment in Gollwitz. This high-quality holiday apartment is well suited for the diabled and was completely renovated in April 2013. The spacious living area, partly in the style of a winter garden. This lovely home on the island of Poel is comfortable and modern. They enter the chic holiday house through the open kitchen, it is equipped with electronic device.